Some of you may remember that in September I started working a back loop crochet project using this yummy yarn. In some shots the yarn looks shiny (which it is) and others' it doesn't. This throw-rug has been finished for few weeks now but I couldn't show you until after I'd gifted it to the person it was intended for or it would have ruined the surprise. I adapted this corner stripe square pattern to make my rug. Working 4 rows of each colour, I crocheted into the back loops instead of the front and just kept going until the square was the width I wanted. Once the rug was the right width I simply increased the length by slip stitching across 2 stitches, crochet the row as before and stopping 2 stitches from the end, turn and repeat. 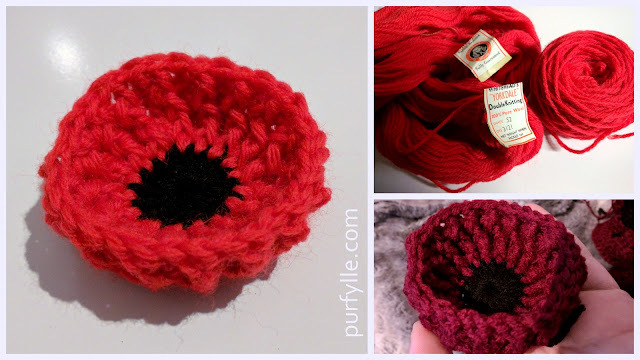 A very 'fly by the seat of your pants' (or rather 'crochet by the seat of your pants' ) project I just kept going until I thought it was long enough. I could have just called it done at this point but I felt the rug needed a border to give a more finished feel. The long edges along the length of the rug were not so flat from dropping off those 2 stitches on each row. I used DC, HDC and a SC into each post space to address this (see right of above image). When I reached the other side I had to do those stitches in reverse. SC, HDC, DC. After working all the way around I continued with 4 rows of HDC - into both loops for a flat effect (in contrast to the texture of the back-loop work) - using colour 1, and then another 4 rows using colour 2. 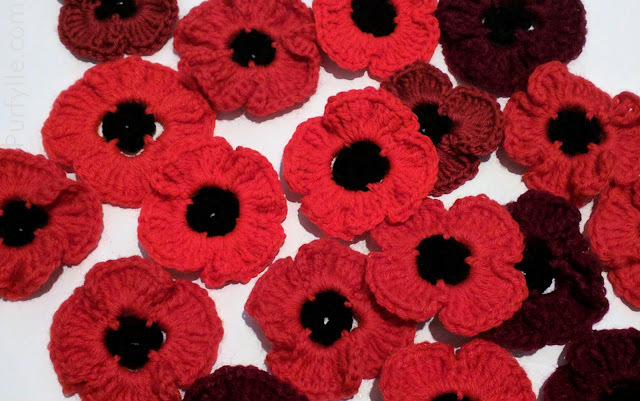 To finish I did one more row of HDC in colour 1 and then another in colour 2. I think I accidentally added in a few extra stitches somewhere along the way causing a bit of ripplyness to the edging which got exponentially worse the further out I got. My attempts to make the rug lay flat for photos were continually foiled by the little tortoiseshell terror that kept running across it. Perhaps Ada thought it was a landing strip. I purchased 5 balls (8 ply acrylic) of each colour but only used 4 of each. This is a wonderfully big throw that will easily cover your lap or wrap around your shoulders for snugly warmth on a cold night. Making up this throw was an absolute pleasure, stitching in the few ends that couldn't be crocheted over didn't take long and it was great to not have any joins to make. 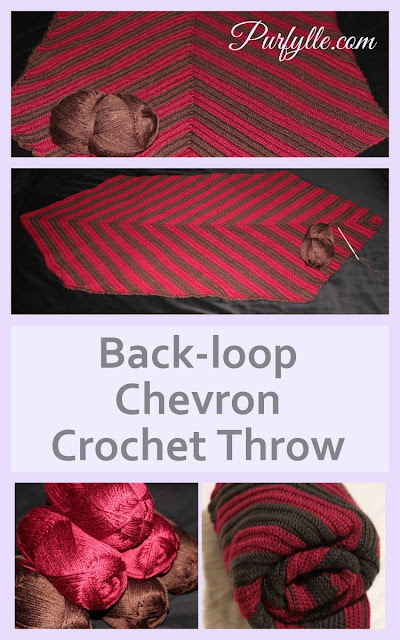 The chevron design has lots of scope for variation just by changing how many rows of each colour you use. I would totally crochet another throw using this chevron design. I think you're right about the pixies! The yarn was super easy to work with, I thought it might split and give me trouble but it was really lovely. Stella, I'm totally in awe of your talent! Love the sheen of the yarn. And what a fun shape!! That's beautiful! I love the colors you chose. They're so rich and striking. What a nice gift! I would have kept it, because I'm selfish like that ;) And they look really good with the dark wood of your bed frame. 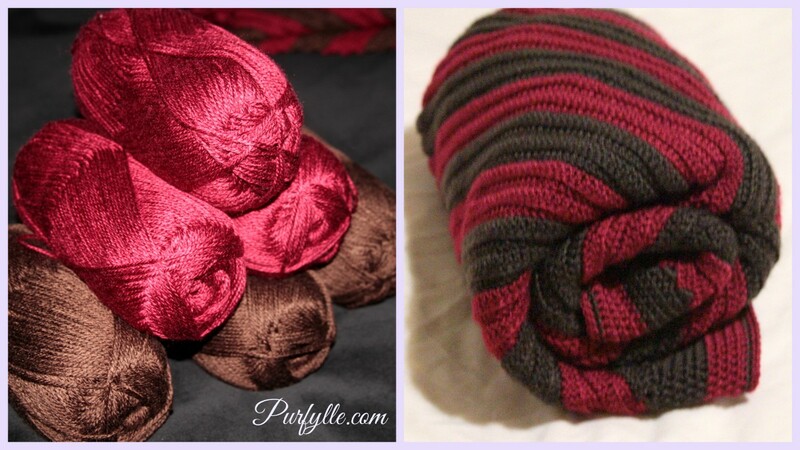 I kept the 3 I made before that ;O) This one I purchased the yarn with the recipient in mind, she likes red. I've been waiting to know what that yarn would be! How lovely! The person I gave it to has a cat or two and just thinks it's extra special with that little Ada claw pull in it.